Lot Size: 70 sq. m.
This luxury project is conformed with automated units with the highest technology available in the market. Wonderful views of the 700 mts2 of artificial lagoons and the luscious nature of Tulum. Relax in our Cenote Spa and our waterfall. Enjoy exclusive amenities like exterior jacuzzi, Sky bar, electric bikes, and EV & Tesla chargers. 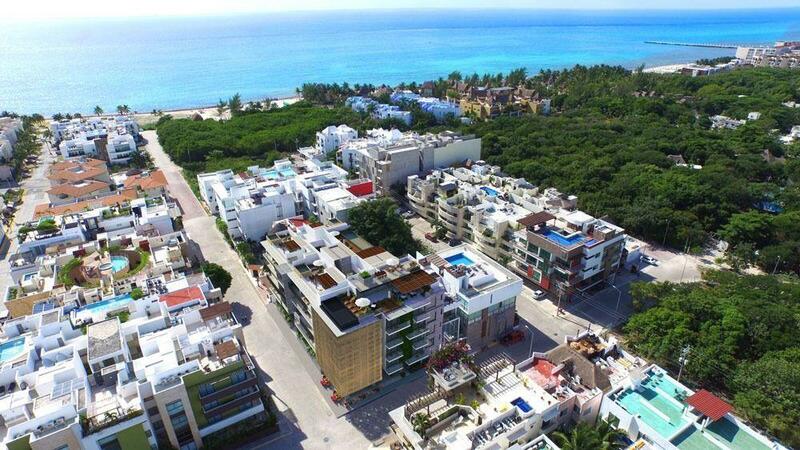 All of this supplied by biggest solar panel system in Tulum, and vertical energy aerogenerators.